Hi everyone. Welcome to my blog today. 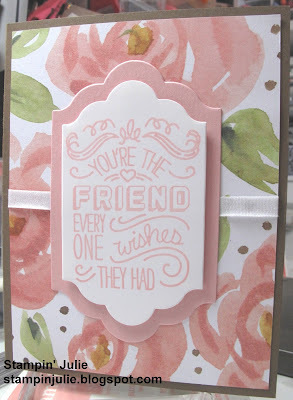 I have a new post for the day showing this really cute friendship card. 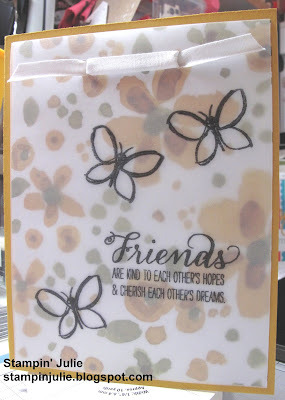 I have a dear friend who I love to make cards for so I came up with this idea using the new stamp set from Stampin' Up! called Friendly Wishes. Hey there everyone! How are you all doing? I'm a day late with this as our cable was knocked out by a huge microburst that went through our town. We are finally back up and running so here is my blog for Wednesday. 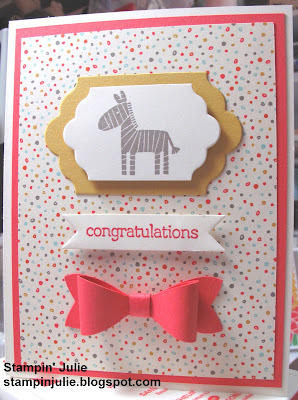 I was inspired to make this card by another I saw on Pinterest. They had used another stamp set but the result is pretty much close to the original. 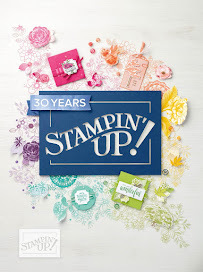 I picked out several Stampin' Up! 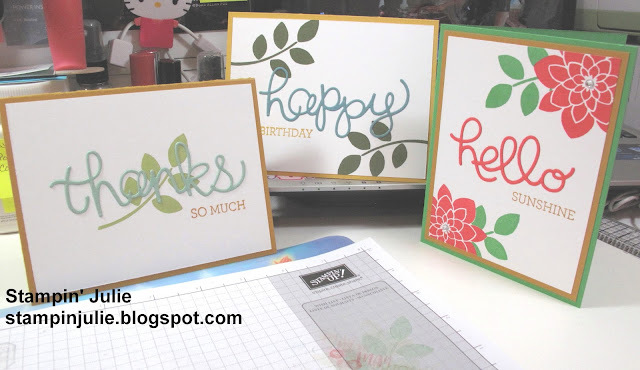 stamp pads that I wanted to use plus the color of my card base. Next I punched out each cupcake with the Cupcake punch. 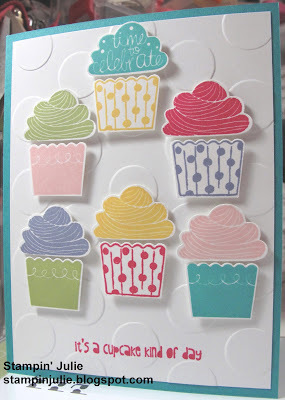 Then I used the embossing folder Large Polka Dots and then I grouped the cupcakes together as in the original inspiration. 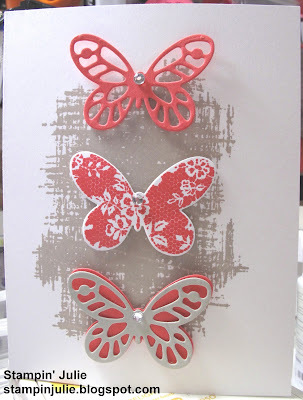 Finally, I stamped the sentiment in Rose Red and my card is finished. Hello everyone! I am so sorry that it has been so long since my last post. I am going to start myself on a schedule, so from now on I will be posting every Monday, Wednesday, Friday. This will be a great schedule for me as it pushes me to get some projects done that I love doing. So here is the first one. 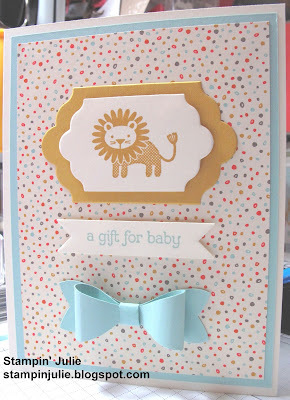 It is this really cute baby card perfect for the parents of a new addition to their family. I think the bow really pushes it over the top. 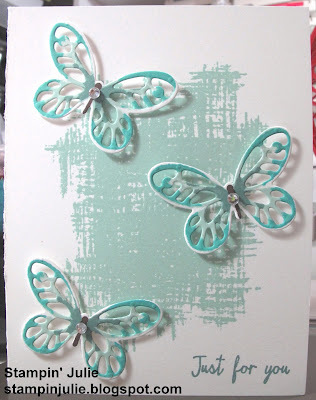 This card was made with new DSP from the new 2015-2016 Stampin' Up! catalog. 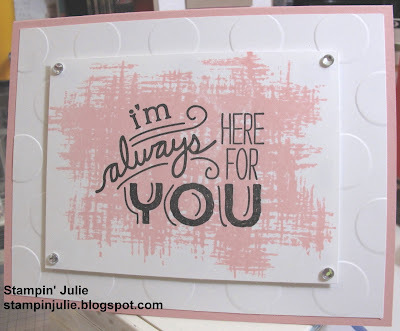 I had so much fun making this card and it was so easy. Easy enough for you to CASE (copy and share everything) it. Please if you need a catalog let me know. 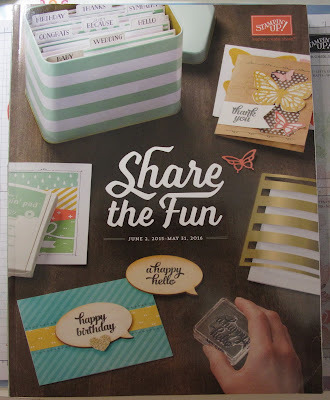 For just $6 I will send you a new 2015-2016 catalog. 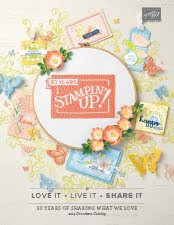 And please if you already have a Stampin' Up! demonstrator ask them first for a catalog.